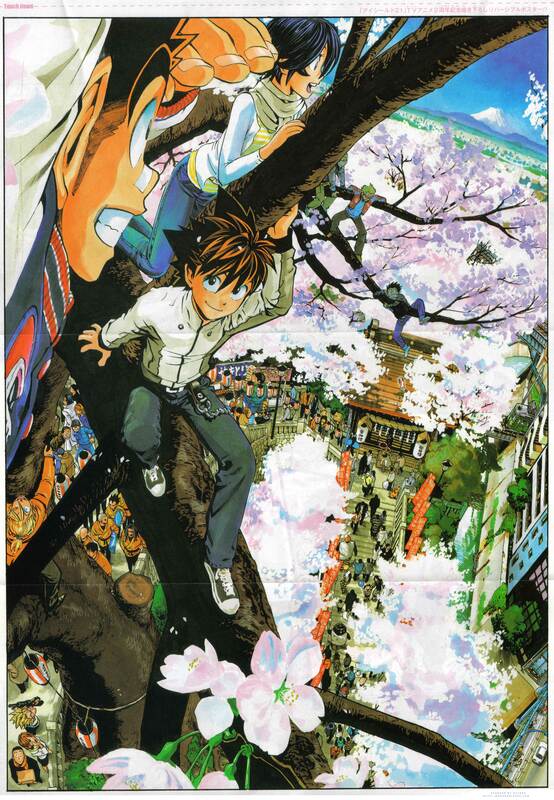 Self-scanned when I scanned the Eyeshield 21 chapter on Friday, from Weekly Shounen Jump issue 17. Also thanks to Des at MangaHelpers for helping me identify which fandom this belonged to. ^^; I hope you guys enjoy! nice.. why is this pis not inserted in the art book "field of colors"
I want to watch Fuji. Mwahaha, excellent! Monta dans un arbre.